Citation Information: JCI Insight. 2017;2(7):e89494. https://doi.org/10.1172/jci.insight.89494. BACKGROUND. In humans, a single light exposure of 12 minutes and multiple-millisecond light exposures can shift the phase of the circadian pacemaker. We investigated the response of the human circadian pacemaker to a single 15-second or 2-minute light pulse administered during the biological night. METHODS. Twenty-six healthy individuals participated in a 9-day inpatient protocol that included assessment of dim light melatonin onset time (DLMO time) before and after exposure to a single 15-second (n = 8) or 2-minute (n = 12) pulse of bright light (9,500 lux; 4,100 K fluorescent) or control background dim light (<3 lux; n = 6). Phase shifts were calculated as the difference in clock time between the two phase estimates. RESULTS. Both 15-second and 2-minute exposures induced phase delay shifts [median (± SD)] of –34.8 ± 47.2 minutes and –45.4 ± 28.4 minutes, respectively, that were significantly (P = 0.04) greater than the control condition (advance shift: +22.3 ± 51.3 minutes) but were not significantly different from each other. Comparisons with historic data collected under the same conditions confirmed a nonlinear relationship between exposure duration and the magnitude of phase shift. CONCLUSIONS. Our results underscore the exquisite sensitivity of the human pacemaker to even short-duration single exposures to light. These findings may have real-world implications for circadian disruption induced by exposure to brief light stimuli at night. TRIAL REGISTRATION. The study was registered as a clinical trial on www.clinicaltrials.org, NCT #01330992. FUNDING. Funding for this study was provided by NSBRI HFP02802 and NIH P01-AG09975, R01-HL114088 (EBK), RC2-HL101340-0 (EBK, SWL, SAR, REK), K02-HD045459 (EBK), K24-HL105664 (EBK), T32-HL07901 (MSH, SAR), HL094654 (CAC), and AG044416 (JFD). The project described was supported by NIH grant 1UL1 TR001102-01, 8UL1TR000170-05, UL1 RR 025758, Harvard Clinical and Translational Science Center, from the National Center for Advancing Translational Science. Citation Information: JCI Insight. 2017;2(7):e90133. https://doi.org/10.1172/jci.insight.90133. BACKGROUND. We report the 12-month clinical and imaging data on the effects of bilateral delivery of the glutamic acid decarboxylase gene into the subthalamic nuclei (STN) of advanced Parkinson’s disease (PD) patients. METHODS. 45 PD patients were enrolled in a 6-month double-blind randomized trial of bilateral AAV2-GAD delivery into the STN compared with sham surgery and were followed for 12 months in open-label fashion. Subjects were assessed with clinical outcome measures and 18F-fluorodeoxyglucose (FDG) PET imaging. RESULTS. Improvements under the blind in Unified Parkinson’s Disease Rating Scale (UPDRS) motor scores in the AAV2-GAD group compared with the sham group continued at 12 months [time effect: F(4,138) = 11.55, P < 0.001; group effect: F(1,35) = 5.45, P < 0.03; repeated-measures ANOVA (RMANOVA)]. Daily duration of levodopa-induced dyskinesias significantly declined at 12 months in the AAV2-GAD group (P = 0.03; post-hoc Bonferroni test), while the sham group was unchanged. Analysis of all FDG PET images over 12 months revealed significant metabolic declines (P < 0.001; statistical parametric mapping RMANOVA) in the thalamus, striatum, and prefrontal, anterior cingulate, and orbitofrontal cortices in the AAV2-GAD group compared with the sham group. Across all time points, changes in regional metabolism differed for the two groups in all areas, with significant declines only in the AAV2-GAD group (P < 0.005; post-hoc Bonferroni tests). Furthermore, baseline metabolism in the prefrontal cortex (PFC) correlated with changes in motor UPDRS scores; the higher the baseline PFC metabolism, the better the clinical outcome. CONCLUSION. These findings show that clinical benefits after gene therapy with STN AAV2-GAD in PD patients persist at 12 months. Citation Information: JCI Insight. 2017;2(7):e90443. https://doi.org/10.1172/jci.insight.90443. Influenza A virus (IAV) infections lead to severe inflammation in the airways. Patients with chronic obstructive pulmonary disease (COPD) characteristically have exaggerated airway inflammation and are more susceptible to infections with severe symptoms and increased mortality. The mechanisms that control inflammation during IAV infection and the mechanisms of immune dysregulation in COPD are unclear. We found that IAV infections lead to increased inflammatory and antiviral responses in primary bronchial epithelial cells (pBECs) from healthy nonsmoking and smoking subjects. In pBECs from COPD patients, infections resulted in exaggerated inflammatory but deficient antiviral responses. A20 is an important negative regulator of NF-κB–mediated inflammatory but not antiviral responses, and A20 expression was reduced in COPD. IAV infection increased the expression of miR-125a or -b, which directly reduced the expression of A20 and mitochondrial antiviral signaling (MAVS), and caused exaggerated inflammation and impaired antiviral responses. These events were replicated in vivo in a mouse model of experimental COPD. Thus, miR-125a or -b and A20 may be targeted therapeutically to inhibit excessive inflammatory responses and enhance antiviral immunity in IAV infections and in COPD. Citation Information: JCI Insight. 2017;2(7):e90517. https://doi.org/10.1172/jci.insight.90517. Osteolytic bone diseases, such as osteoporosis, are characterized by diminished bone quality and increased fracture risk. The therapeutic challenge remains to maintain bone homeostasis with a balance between osteoclast-mediated resorption and osteoblast-mediated formation. Osteoclasts are formed by the fusion of monocyte/macrophage-derived precursors. Here we report, to our knowledge for the first time, that receptor-interacting protein 140 (RIP140) expression in osteoclast precursors and its protein regulation are crucial for osteoclast differentiation, activity, and coupled bone formation. In mice, monocyte/macrophage–specific knockdown of RIP140 (mϕRIP140KD) resulted in a cancellous osteopenic phenotype with significantly increased bone resorption and reduced bone formation. Osteoclast precursors isolated from mϕRIP140KD mice had significantly increased differentiation potential. Furthermore, conditioned media from mϕRIP140KD primary osteoclast cultures significantly suppressed osteoblast differentiation. This suppressive activity was effectively and rapidly terminated by specific Syk-stimulated RIP140 protein degradation. Mechanistic analysis revealed that RIP140 functions primarily by inhibiting osteoclast differentiation through forming a transcription-suppressor complex with testicular receptor 4 (TR4) to repress osteoclastogenic genes. These data reveal that monocyte/macrophage RIP140/TR4 complexes may serve as a critical transcription regulatory complex maintaining homeostasis of osteoclast differentiation, activity, and coupling with osteoblast formation. Accordingly, we propose a potentially novel therapeutic strategy, specifically targeting osteoclast precursor RIP140 protein in osteolytic bone diseases. Citation Information: JCI Insight. 2017;2(7):e90652. https://doi.org/10.1172/jci.insight.90652. IL-21 has been shown to play an important role in the CD8 T cell response during acute and chronic viral infections. However, the role of IL-21 signaling in the CD4 T cell response to viral infection remains incompletely defined. In a model of infection with vaccinia virus, we show that intrinsic IL-21 signaling on CD4 T cells was critical for the formation of memory CD4 T cells in vivo. We further reveal that IL-21 promoted CD4 T cell survival in a mechanism dependent on activation of the STAT1 and STAT3 signaling pathways. In addition, the activation of Akt is also required for IL-21–dependent survival of CD4 T cells in vivo. These results identify a critical role for intrinsic IL-21 signaling in CD4 T cell survival and memory formation in response to viral infection in vivo and may provide insights into the design of effective vaccine strategies. Citation Information: JCI Insight. 2017;2(7):e90721. 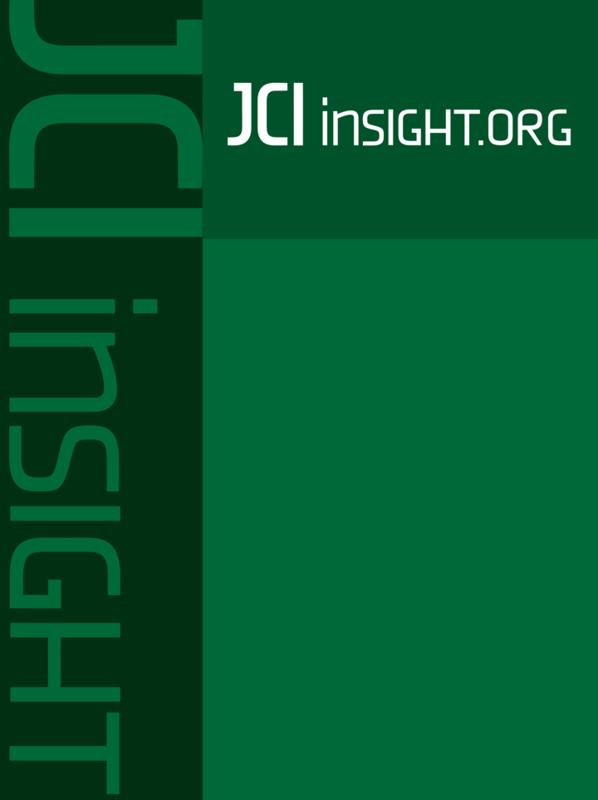 https://doi.org/10.1172/jci.insight.90721. IL-33 is one of the critical cytokines that activates group 2 innate lymphoid cells (ILC2s) and mediates allergic reactions. Accumulating evidence suggests that IL-33 is also involved in the pathogenesis of several chronic inflammatory diseases. Previously, we generated an IL-5 reporter mouse and revealed that lung IL-5–producing ILC2s played essential roles in regulating eosinophil biology. In this study, we evaluated the consequences of IL-33 administration over a long period, and we observed significant expansion of ILC2s and eosinophils surrounding pulmonary arteries. Unexpectedly, pulmonary arteries showed severe occlusive hypertrophy that was ameliorated in IL-5– or eosinophil-deficient mice, but not in Rag2-deficient mice. This indicates that IL-5–producing ILC2s and eosinophils play pivotal roles in pulmonary arterial hypertrophy. Administration of a clinically used vasodilator was effective in reducing IL-33–induced hypertrophy and repressed the expansion of ILC2s and eosinophils. Taken together, these observations demonstrate a previously unrecognized mechanism in the development of pulmonary arterial hypertrophy and the causative roles of ILC2 in the process. Citation Information: JCI Insight. 2017;2(7):e90723. https://doi.org/10.1172/jci.insight.90723. Living in a mentally and physically stimulating environment has been suggested to have a beneficial effect on the immune response. This study investigates these effects, utilizing a 2-week program of environmental enrichment (EE) and 2 models of acute inflammation: zymosan-induced peritonitis (ZIP) and the cecal ligation and puncture (CLP) model of sepsis. Our results revealed that following exposure to EE, mice possessed a significantly higher circulating neutrophil to lymphocyte ratio compared with control animals. When subject to ZIP, EE animals exhibit enhanced neutrophil and macrophage influx into their peritoneal cavity. Corresponding results were found in CLP, where we observed an improved capacity for enriched animals to clear systemic microbial infection. Ex vivo investigation of leukocyte activity also revealed that macrophages from EE mice presented an enhanced phagocytic capacity. Supporting these findings, microarray analysis of EE animals revealed the increased expression of immunomodulatory genes associated with a heightened and immunoprotective status. Taken together, these results provide potentially novel mechanisms by which EE influences the development and dynamics of the immune response. Citation Information: JCI Insight. 2017;2(7):e90777. https://doi.org/10.1172/jci.insight.90777. Intracerebral hemorrhage (ICH) causes high mortality and morbidity, but our knowledge of post-ICH neuronal death and related mechanisms is limited. In this study, we first demonstrated that ferroptosis, a newly identified form of cell death, occurs in the collagenase-induced ICH model in mice. We found that administration of ferrostatin-1, a specific inhibitor of ferroptosis, prevented neuronal death and reduced iron deposition induced by hemoglobin in organotypic hippocampal slice cultures (OHSCs). Mice treated with ferrostatin-1 after ICH exhibited marked brain protection and improved neurologic function. Additionally, we found that ferrostatin-1 reduced lipid reactive oxygen species production and attenuated the increased expression level of PTGS2 and its gene product cyclooxygenase-2 ex vivo and in vivo. Moreover, ferrostatin-1 in combination with other inhibitors that target different forms of cell death prevented hemoglobin-induced cell death in OHSCs and human induced pluripotent stem cell–derived neurons better than any inhibitor alone. These results indicate that ferroptosis contributes to neuronal death after ICH, that administration of ferrostatin-1 protects hemorrhagic brain, and that cyclooxygenase-2 could be a biomarker of ferroptosis. The insights gained from this study will advance our knowledge of the post-ICH cell death cascade and be essential for future preclinical studies. Citation Information: JCI Insight. 2017;2(7):e90932. https://doi.org/10.1172/jci.insight.90932. Myelofibrosis (MF) is a bone marrow disorder characterized by clonal myeloproliferation, aberrant cytokine production, extramedullary hematopoiesis, and bone marrow fibrosis. Although somatic mutations in JAK2, MPL, and CALR have been identified in the pathogenesis of these diseases, inhibitors of the Jak2 pathway have not demonstrated efficacy in ameliorating MF in patients. TGF-β family members are profibrotic cytokines and we observed significant TGF-β1 isoform overexpression in a large cohort of primary MF patient samples. Significant overexpression of TGF-β1 was also observed in murine clonal MPLW515L megakaryocytic cells. TGF-β1 stimulated the deposition of excessive collagen by mesenchymal stromal cells (MSCs) by activating the TGF-β receptor I kinase (ALK5)/Smad3 pathway. MSCs derived from MPLW515L mice demonstrated sustained overproduction of both collagen I and collagen III, effects that were abrogated by ALK5 inhibition in vitro and in vivo. Importantly, use of galunisertib, a clinically active ALK5 inhibitor, significantly improved MF in both MPLW515L and JAK2V617F mouse models. These data demonstrate the role of malignant hematopoietic stem cell (HSC)/TGF-β/MSC axis in the pathogenesis of MF, and provide a preclinical rationale for ALK5 blockade as a therapeutic strategy in MF. Citation Information: JCI Insight. 2017;2(7):e91963. https://doi.org/10.1172/jci.insight.91963. BACKGROUND. Bacillus Calmette-Guérin (BCG) vaccine is administered at birth to protect infants against tuberculosis throughout Africa, where most perinatal HIV-1 transmission occurs. We examined whether BCG vaccination alters the levels of activated HIV target T cells in HIV-exposed South African infants. METHODS. HIV-exposed infants were randomized to receive routine (at birth) or delayed (at 8 weeks) BCG vaccination. Activated and CCR5-expressing peripheral blood CD4+ T cell, monocyte, and NK cell frequencies were evaluated by flow cytometry and immune gene expression via PCR using Biomark (Fluidigm). RESULTS. Of 149 infants randomized, 92% (n = 137) were retained at 6 weeks: 71 in the routine BCG arm and 66 in the delayed arm. Routine BCG vaccination led to a 3-fold increase in systemic activation of HIV target CD4+CCR5+ T cells (HLA-DR+CD38+) at 6 weeks (0.25% at birth versus 0.08% in delayed vaccination groups; P = 0.029), which persisted until 8 weeks of age when the delayed arm was vaccinated. Vaccination of the infants in the delayed arm at 8 weeks resulted in a similar increase in activated CD4+CCR5+ T cells. The increase in activated T cells was associated with increased levels of MHC class II transactivator (CIITA), IL12RB1, and IFN-α1 transcripts within peripheral blood mononuclear cells but minimal changes in innate cells. CONCLUSION. BCG vaccination induces immune changes in HIV-exposed infants, including an increase in the proportion of activated CCR5+CD4+ HIV target cells. These findings provide insight into optimal BCG vaccine timing to minimize the risks of HIV transmissions to exposed infants while preserving potential benefits conferred by BCG vaccination. FUNDING. This trial was sponsored by the Elizabeth Glaser Pediatric AIDS Foundation (MV-00-9-900-01871-0-00) and the Thrasher Foundation (NR-0095); for details, see Acknowledgments. Citation Information: JCI Insight. 2017;2(7):e91868. https://doi.org/10.1172/jci.insight.91868. In each influenza season, a distinct group of young, otherwise healthy individuals with no risk factors succumbs to life-threatening infection. To better understand the cause for this, we analyzed a broad range of immune responses in blood from a unique cohort of patients, comprising previously healthy individuals hospitalized with and without respiratory failure during one influenza season, and infected with one specific influenza A strain. This analysis was compared with similarly hospitalized influenza patients with known risk factors (total of n = 60 patients recruited). We found a sustained increase in a specific subset of proinflammatory monocytes, with high TNF-α expression and an M1-like phenotype (independent of viral titers), in these previously healthy patients with severe disease. The relationship between M1-like monocytes and immunopathology was strengthened using murine models of influenza, in which severe infection generated using different models (including the high-pathogenicity H5N1 strain) was also accompanied by high levels of circulating M1-like monocytes. Additionally, a raised M1/M2 macrophage ratio in the lungs was observed. These studies identify a specific subtype of monocytes as a modifiable immunological determinant of disease severity in this subgroup of severely ill, previously healthy patients, offering potential novel therapeutic avenues.